Today's book review is for a book I discovered while reading E. Lockhart's The Boy Book, the second installment in the Ruby Oliver Quartet. I got to the end and saw the cover for Fly On the Wall (the cover depicted below), with the headline that this was a "hilarious novel." I like hilarious novels. I turned the page, and as if I wasn't already sold from the comic-book style drawn cover and the notion of the book's hilarity, there was a blurb written by John Green on the following page essentially saying that the novel was brilliant, smart, hilarious, and amazing. I like hilarious novels. I trust John's opinion on books. Why not? So I picked up my copy (unfortunately I didn't get a copy with the same cover, but I was looking to buy the cheapest copy from the cheapest seller and didn't have room to be picky). Keep reading for my thoughts and see how it met my high expectations! "At the Manhattan High School for the Arts, where everyone is "different" and everyone is "special," Gretchen Yee feels ordinary. She's the kind of girl who sits alone at lunch, drawing pictures of Spider-Man, so that she won't have to talk to anyone; who has a crush on Titus but won't do anything about it; who has no one to hang out with when her best (and only real) friend, Katya, is busy. Fly on the Wall is the story of how that wish comes true. " Since I know I can really start to rant sometimes, I'll try to keep this review at least shorter than the book itself. When you read YA books, you must take them for what they are. If I read a teen/YA book and there wasn't any descriptions of sexual interests/lack of sexual interest, than my antennae would be up at the oddity. It's a mold these books must fit into and this book does that as well. The point I'm trying to get at is that Gretchen (the lead) can go on for pages about her crush and the mysterious nature of teenaged boys. The way I see it, if that bothers you, you only have two choices: pick a new genre, or get over it and try to better understand kids in their young adult lives. And I really do mean that in the nicest way possible. Other than the occasional focused rants on boys and crushes, the rest of the novel moves at a moderate pace. For such a short book, I think E. Lockhart made a decent cast of real characters. Much like E. Lockhart's lead in the Ruby Oliver Quartet, Gretchen is full of personality. I felt she was a little self-absorbed at times, but I could easily chalk that up to age and situation and forgive her for it. Many of the boys in this novel are well-thought out as well. With how short this novel is, I'm astonished at how all their individual dynamics were very believable. And though I've never been in the boys' locker room, I could picture all their encounters very well. 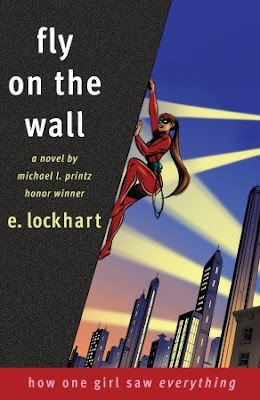 From all the E. Lockhart books I've read, I have just accepted that she is awesome at setting a tone for the piece. Her characters are always so spunky, real, and written with humor. I think hearing all the comments that this book was absolutely hilarious set me up to be ready to pee my pants, and unfortunately (and fortunately) I didn't have any of those moments. However it was still funny writing overall. Though I have never read Kafka's The Metamorphosis, I could tell the novel was trying to create some parallel structure with it. I was sad to miss out on that aspect because it was a reoccurring theme that I think would have added further depth to my reading. I would probably say that of all the YA contemporary books that I've read, this one is a good contender for one of the favorites. Even if I didn't find the novel entirely hilarious (though still funny) I enjoyed it a lot. I'm surprised by how comforting, sweet, and insightful this book could be and will definitely keep it on my list to reread. As I mentioned earlier, I have not read Frank Kafka's The Metamorphosis. I have only owned Kafka's The Castle which I tried to read at least 7-8 years ago and failed due to the confusion that stemmed from lack of commas. 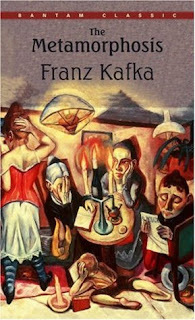 It scared me away from any other works by Kafka. However, after reading Fly On the Wall, I feel like I'll be missing a great deal if I don't read this novel. So, despite the fact that I can't actually recommend you this book as further reading since I have read it myself to recommend, I am adding it to my reading list for April and suggest that if you enjoyed Fly On the Wall and were also curious about the parallels between both books, that you do the same.